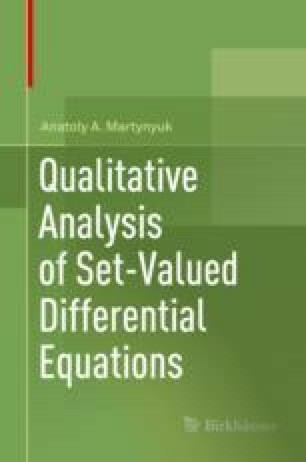 In this chapter the application of the comparison principle and the direct Lyapunov method in terms of auxiliary matrix-valued functions is proposed for solution of the problems under consideration. For the set of equations with generalized derivative, sufficient conditions are established for various types of trajectory boundedness and for stability of a stationary set of trajectories. To this end, the scalar and vector Lyapunov functions constructed in terms of an auxiliary matrix-valued function are employed.